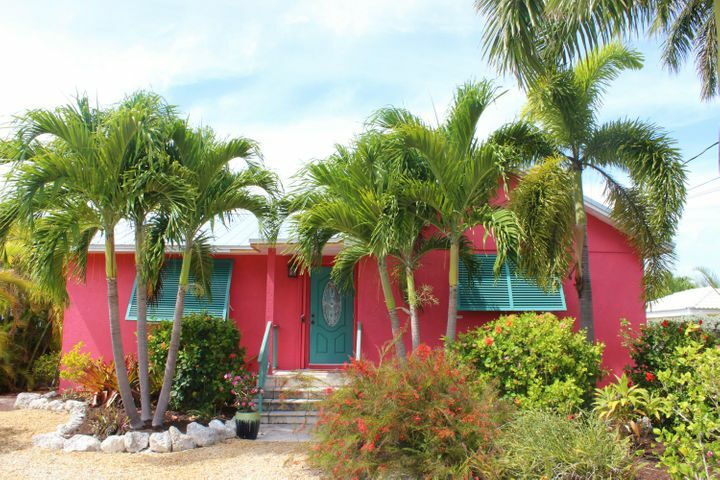 Charming 3 bed/2ba home on lovely, tropical Flamingo Island. Open floor plan, vaulted tongue & groove ceilings, tile floors & large kitchen w/ granite counters & breakfast bar making this an ideal for entertainment area. Split floor plan and spacious Master Suite with it's own separate access to the back yard. The Family Room overlooks the pool & fun tiki hut for after swim relaxing. Back yard is fenced w/pavers all around pool Steps and walkway lead to wooden dock, fish cleaning station and boat lift. There is also a storage shed for all your outdoor needs. Front yard has many palms and tropical plants. New roof December 2018. This is a lovely home ''must see''. ©2019 Florida Keys MLS, Inc. The data relating to real estate for sale on this web site comes in part from the Florida Keys Multiple Listing Service. Listing courtesy of Berkshire Hathaway HomeServices Keys Real Estate. The information being provided is for consumers' personal, non-commercial use and may not be used for any purpose other than to identify prospective properties consumers may be interested in purchasing. Information is deemed reliable but not guaranteed. Data last updated: Sunday, April 21st, 2019 at 09:12:44 PM.